​Dr. Star is one of the few doctors in the country who has received advanced training in Stress Reduction Techniques (SRT) utilizing advanced technology to identify and reduce stressors which the American Medical Association says may be responsible for up to 80% of chronic illnesses and allergies. 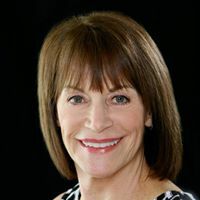 She has been serving patients for over 30 years and is always excited to work with new patients to identify their health goals and how Access Wellness can help. Dr. Starr utilizes her years of experience to bring the highest quality of diagnosis and clinical expertise to each and every person we treat. In addition to her SRT training, Dr. Starr's background includes nutritional counseling, weight loss, exercise therapy, and rehabilitation. She is experienced in treating sports injuries as well as injuries that occur on the job, at home or in an automobile accident. Dr. Starr maintains professional relationships with neurologists, neurosurgeons, orthopedists, cardiologists, internists, acupuncturists, primary care physicians, and general practitioners in order to assists our patient with the coordination of their care. These relationships enable Access Wellness to offer a "complete person" approach in establishing and maintaining an effective care plan for each patient.